One question that I'm asked and read online frequently is, “why do orthodontists recommend braces for children who are young enough that they will likely need braces again when they are older?”. There are several reasons why you would treat a younger patient: to avoid problems getting worse, reduce tooth wear, and reduce the risk of significant dental injury. The most urgent early treatment problem is caused by an upper jaw that is too narrow (unilateral crossbite with functional shift) and the lower jaw slides off center when a patient bites down. This shifting actually warps the lower jaw growth, loads the jaw joints unevenly, creates muscle spasms, tooth wear, and potentially causes joint damage. We never want to wait and watch a bite problem that causes growth to become more and more asymmetrical. The second problem is spacing/crowding. If there is not enough room for teeth to develop and come in normally, you may eventually need to extract permanent teeth to provide a path for others to come in. More teeth are usually better than less, so if it is possible to create space by expanding and growing the jaw then you could save teeth from being extracted. Third is traumatic function. If the permanent teeth are hitting each other in a destructive manner, you want to move them so they don't fully destroy each other. 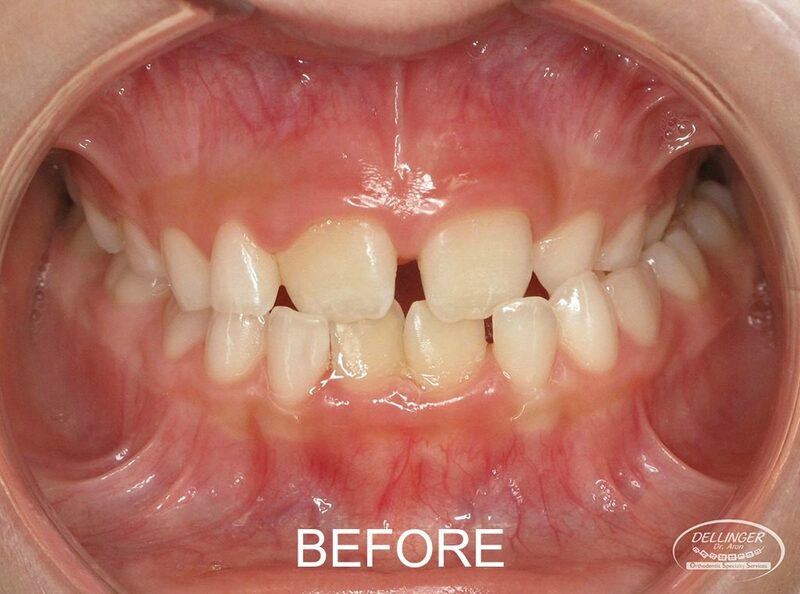 This traumatic function can occur when only a few permanent teeth have come in, and it may be a long while before the rest of the permanent teeth arrive. During that time, it is possible to ruin the enamel and significantly reduce the life span of the involved teeth. Also, the front teeth come in first, so you're ruining the front teeth! 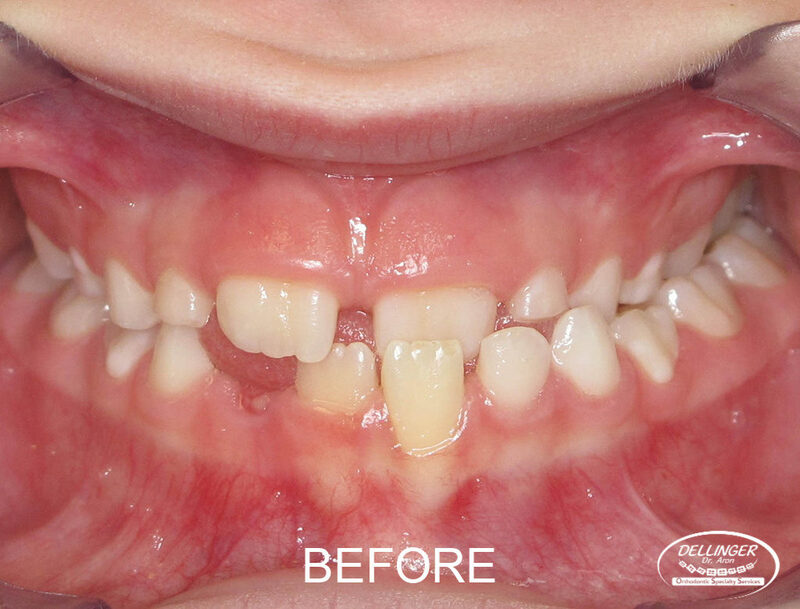 There are several other reasons you would treat a young patient knowing that they will need another phase of treatment when the rest of the permanent teeth arrive, but most of them fit into those three categories (crossbite, spacing and traumatic function). The absolute best way to know if your child needs early treatment is to contact our office to schedule a complimentary consultation. Dr. Gene is a great father, full of truth and wisdom that he wants to share with any who would care to listen. His love of food made meal time a special part of our lives. We would sit for long dinners enjoying all kinds of amazing foods, but more interesting for me was the table talk. The subject could meander from hard work and scholastic discipline, to how to avoid getting into trouble by choosing your friends and activities carefully. He would share time and time again that if you love what you do for a living then you never have to work a day in your life. He loves orthodontics. 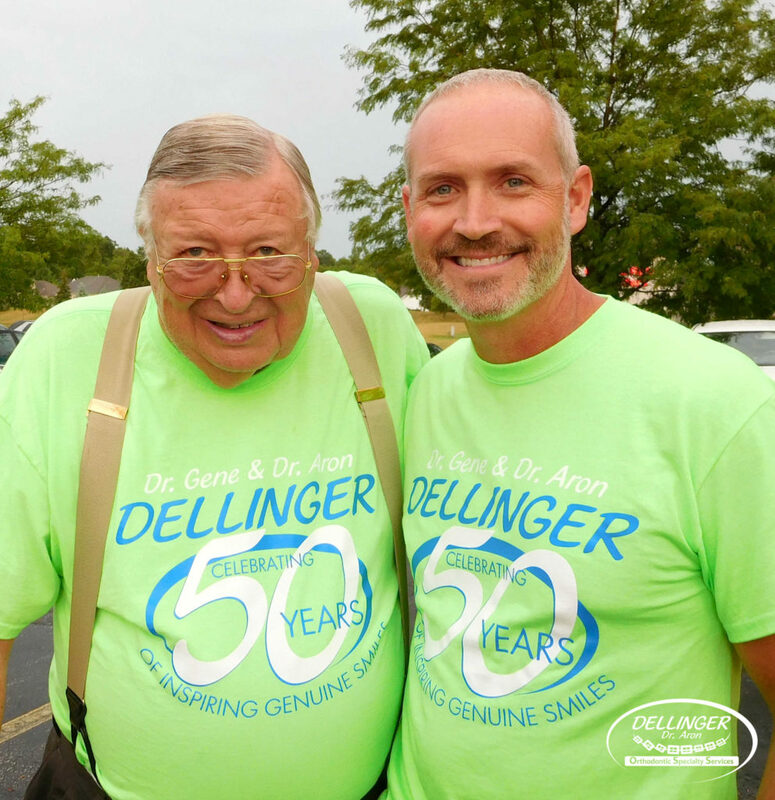 Dr. Gene's father was a carpenter, factory foreman and a jack of all trades. His mother a retail sales clerk. He came from humble means and was the first in his family to attend university. Gene always had a drive to achieve academically and had a great work ethic, which he learned from his parents. His parents moved from Decatur to Fort Wayne so that he would have access to education and the possibility of attending Indiana University. He graduated from Fort Wayne’s North Side High School and spent his first two years at “the extension” in Fort Wayne. He then transferred to IU Bloomington his junior year. (At that time Bloomington was the only place one could complete an undergrad degree.) 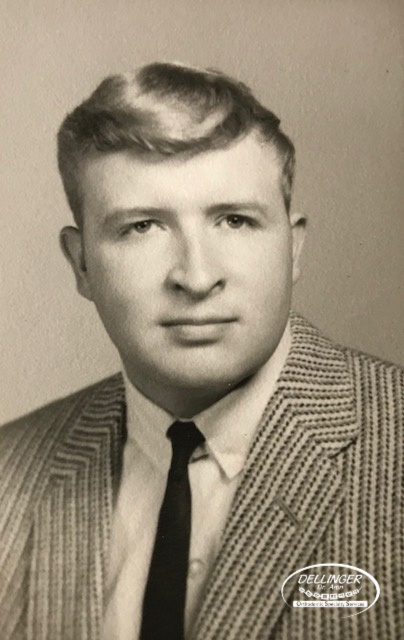 He spent his summers working on a civil engineering crew, learned quite a bit about engineering, and enjoyed the practical application of his mathematical education. While in Bloomington, he lived in a house off campus that cost him $1 per day. Included was his breakfast and laundry service in exchange for lawn mowing and snow shoveling. He also worked as a waiter at the Delta Gamma House where he could have his lunch and dinner as part of the work arrangement. He also got special meals in the winter time from the cooks at Delta Gamma in exchange for warming up their cars and scraping off the snow/ice from their windows. During his time at IU Bloomington, Gene began courting Rosalie Hasewinkle, the daughter of a Fort Wayne physician. 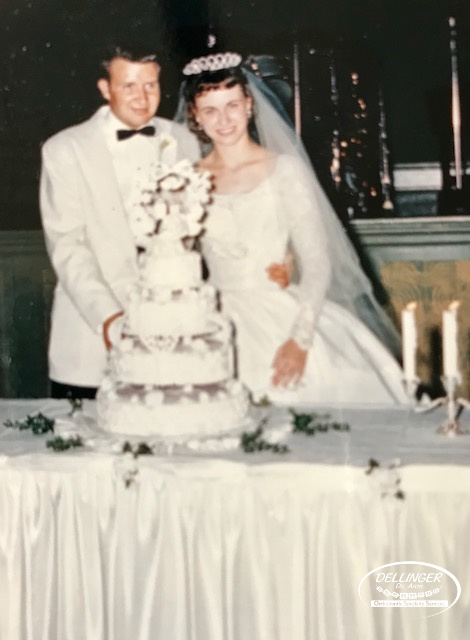 She and Gene were friends in high school and grew closer as they fell in love at IU. One Semester Rosalie noticed that Gene would go on study dates with her but never brought any books with him. She asked how he managed to study without any books, and his response was that he had enough money for tuition and his room/board but there wasn’t anything left for books. She proceeded to purchase his books for him that semester and famously proclaimed for the rest of her life that it was one of the best investments she ever made! 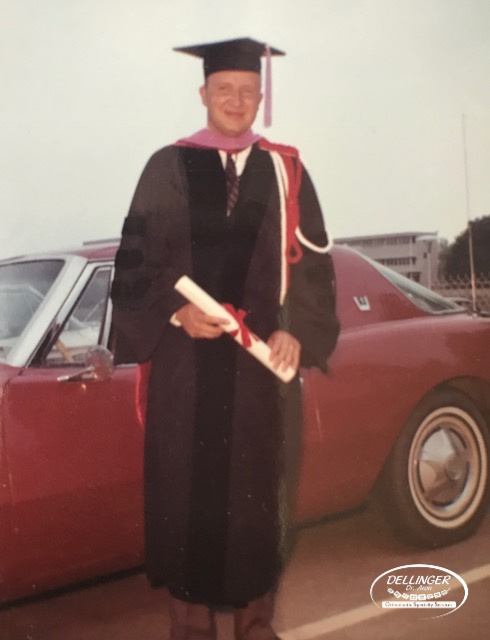 Gene graduated from IU Bloomington, and went on to IU School of Dentistry for his DDS, and continued there ultimately earning his MSD in Orthodontics. Dr. Gene’s work ethic and love of orthodontics helped him become incredibly successful, but it wasn’t easy for him. 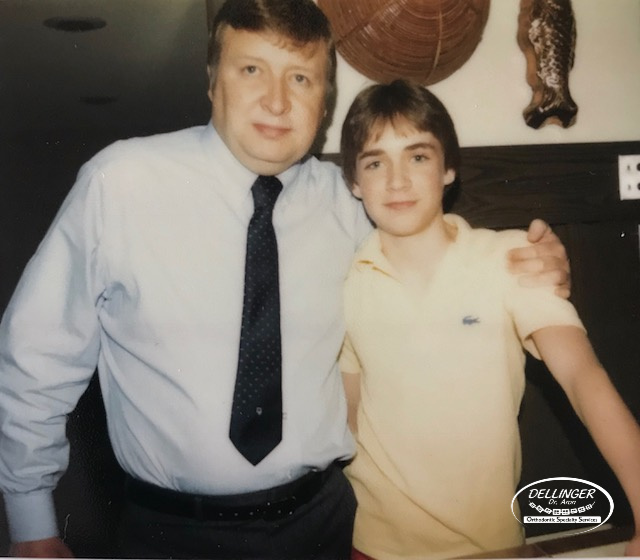 He moved back to Fort Wayne when he finished school to set up practice, and he learned quickly that there were several other orthodontists who had already established relationships with the referring dentists. It was tough getting started, but he built friendships with dentists, treated the tough cases well, and he made sure his patients had a great experience. He worked long hours, and became one of the first ABO certified orthodontists in the area. After about 5 years the practice finally broke even. 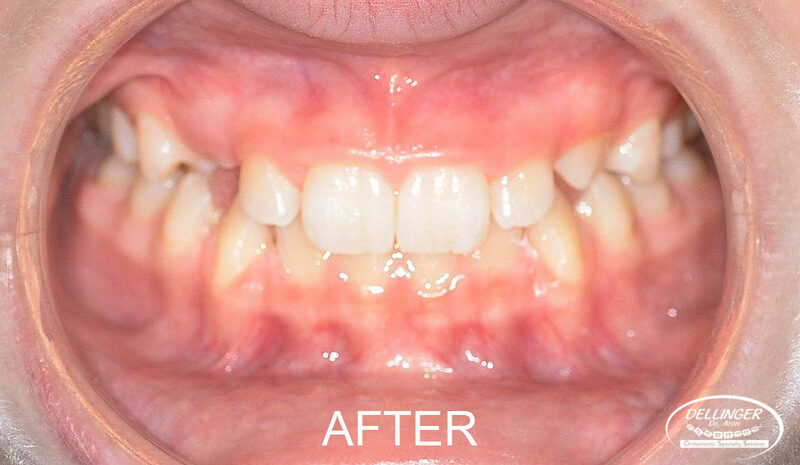 A few years later it was obvious that he had established one of the busiest orthodontic practices around! During his career he won the Milo Hellman Award for original research and continued to write several benchmark journal articles. He spent nearly 40 years in private practice, also lecturing, and teaching worldwide. During this time, Gene and Rosalie traveled the world together, celebrating life with friends and family. They loved to host meals in their home, and often were referred to as the best restaurant in Fort Wayne. They had two sons Eric and Aron - both orthodontists. Sadly, Rosalie passed away March 30, 2007 after a long-fought battle with breast cancer. Gene is now fully retired from private practice. His family and business legacy are a testimony of his commitment to excellence and hard work! Gene still loves to host meals in his home, spending time with friends, sharing great stories, and fine wines. We are all so very thankful for Dr. Gene! All-team meetings are a huge part of the culture at OSS. Every 6 months we take time to meet as a whole team. With two office locations and differing work schedules it is not uncommon for some team members to have no face to face interaction with several other team members. We value communication as our number one team principle, so it is important for everyone to communicate on a regular basis. All-team meetings allow our collective talent and knowledge to come together. We share ideas and challenges which provides a broader perspective to problem solving and greater unity as changes are implemented. Sharing information across teams, as well as up and down the chain of command, is essential to making sure good ideas are implemented. This unrestricted communication is also important for identifying problems that need to be addressed. Our culture functions much like a family. Caring/nurturing parents, responsible older siblings, and respect for one another set the stage for healthy family communication. Managers and team leaders are selected because they work well with their respective teams, and have the ability to identify and encourage the best in others around them. Teams are built based on the skill sets of the individual members. Special projects and specific duties are assigned to team members based on sub-skills and interests of individual team members. 8:00 All-team and small group photos at Parkview. 9:00 Return to OSS for individual photos in the lobby. After OSHA teams will get details about: “Inspire a Genuine Smile Projects”. Noon – 4:30 Groups discuss Genuine Smile Project ideas, lunch & offsite activity. Offsite activities are often intended to be a surprise and a reward for team members. 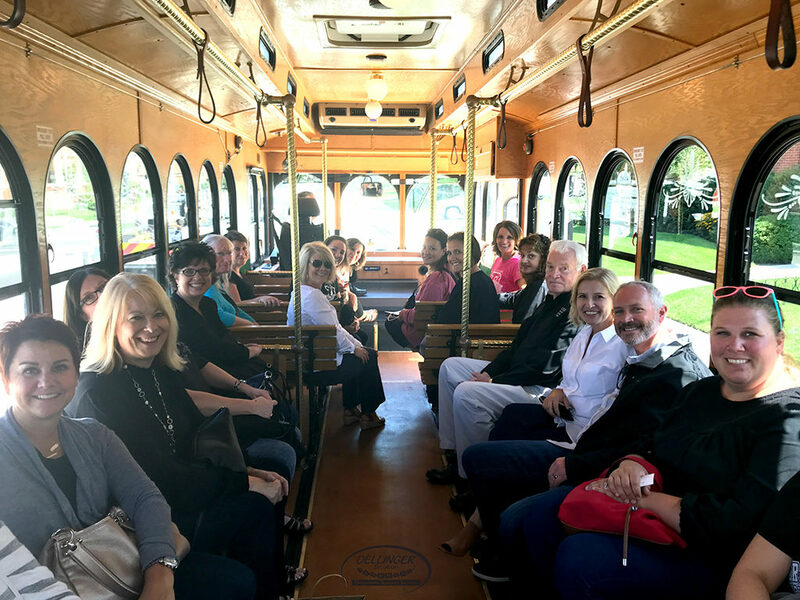 At the last all-team meeting we had a team lunch and then went for a trolley ride visiting some shops around town. “Inspire a Genuine Smile” projects are designed to get our team members collaborating and serving others. 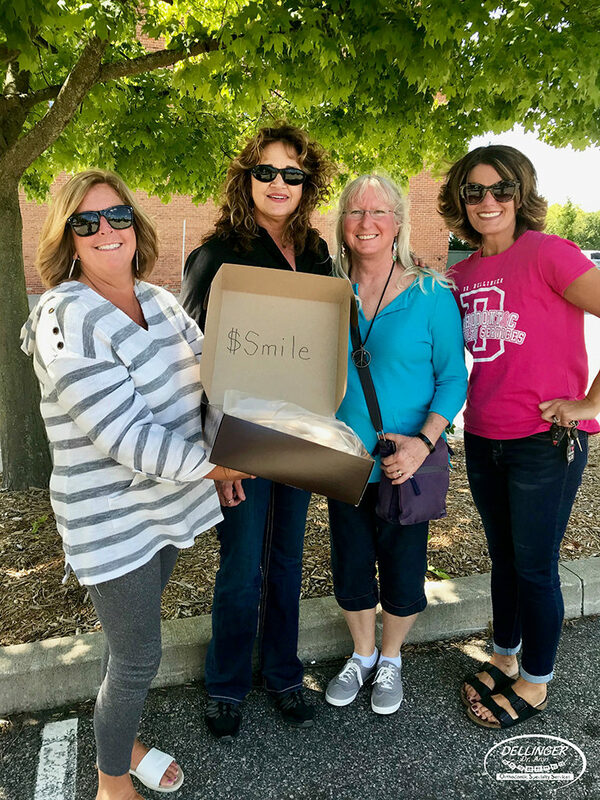 This time we broke into several groups of 5 or 6 people, each group was given $50 cash and instructed to “Inspire a Genuine Smile”. The groups all had unique ways of making that happen. One group bought three dozen cookies from a local bake shop and took them downtown with a sign that said “smile for a cookie”. They took pictures and made a short video of all sorts of people smiling for a cookie; homeless folks, police officers, business executives, and downtown shoppers all smiled for cookies! One of the teams went to an animal shelter and brought in items they needed for the cats and dogs. 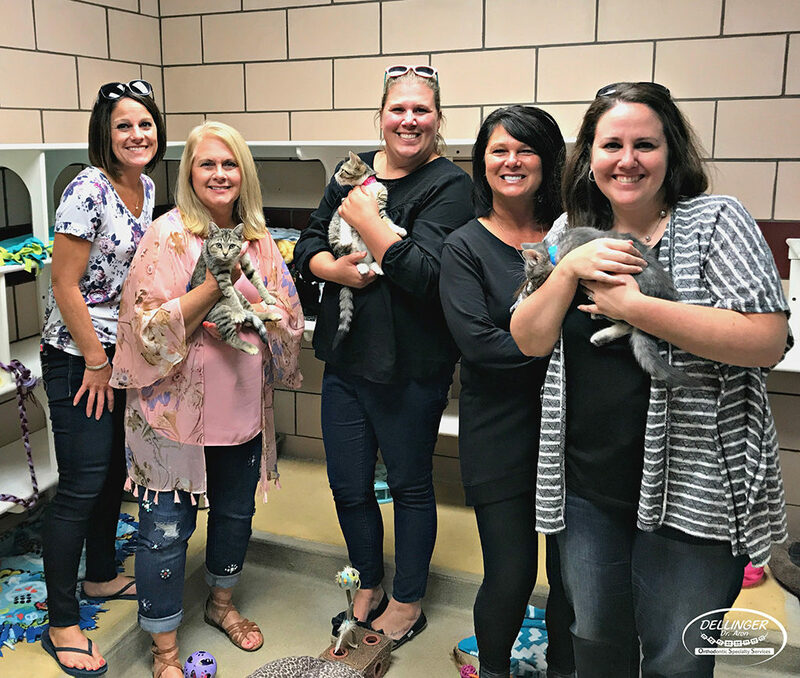 They stayed and played with some kittens, and shared a smile with the volunteers at the shelter. 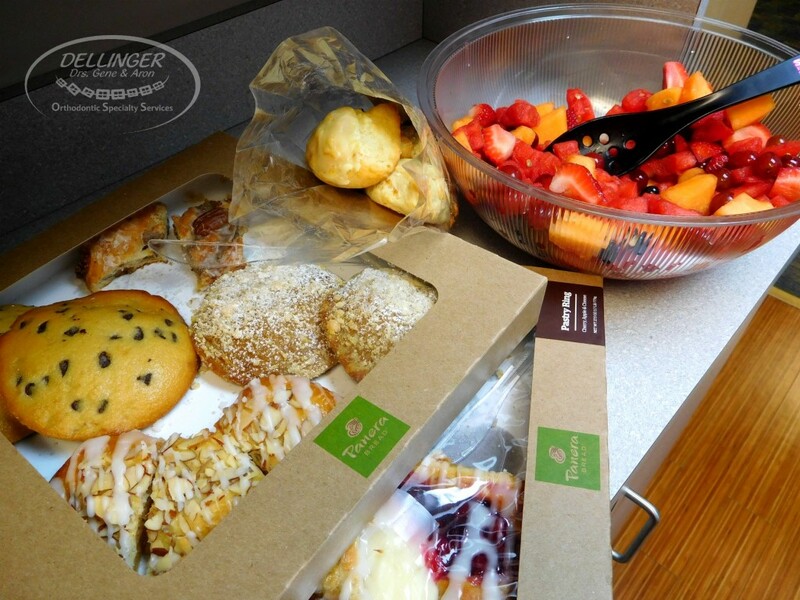 Another team took a box of delicious treats to a firehouse and shared it with the firefighters. One group went to a Mexican restaurant and asked the manager which waitress could use some help. They got her table, enjoyed afternoon snacks, and then gave her an envelope with the $50 tip inside. She cried, then smiled and hugged them! Another group went to the Dollar Tree, purchased a whole grocery cart full of household items, and then delivered them to a facility that helps displaced families get back on their feet. The volunteers at the facility were amazing! They took a beautiful smiling group photo and shared stories with the team. The last group went to Erin's House, a facility for grieving children, and purchased items from their wishlist. 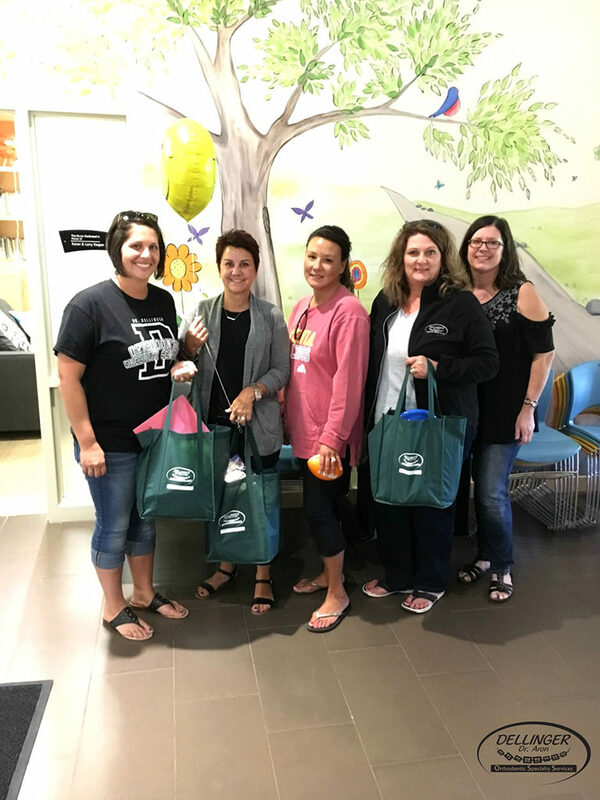 They delivered craft items, coloring books, stickers, markers and picture frames. All of the teams returned to the office and shared pictures and stories of the smiles that were inspired by each group that day! I say this often and it remains so true...I am so blessed to work with this amazing group of people! 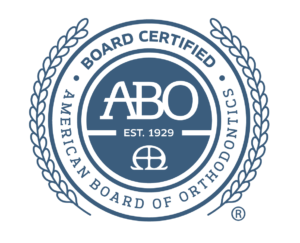 The American Board of Orthodontics (ABO) was established in 1929 and is the oldest specialty board in dentistry. The ABO is the only certifying board in the specialty that is recognized by the American Dental Association (ADA). The board's purpose is to elevate the quality of orthodontic care for the public by promoting excellence through certification, education and professional collaboration. Not all orthodontists are board certified. All orthodontists must be licensed to practice, however board certification is a voluntary achievement that all orthodontists do not choose to pursue. In December 1998, I completed my orthodontic residency at Saint Louis University (Masters in Specialized Dentistry-Orthodontics). I started work at OSS immediately after completing my comprehensive exams and defending my thesis. 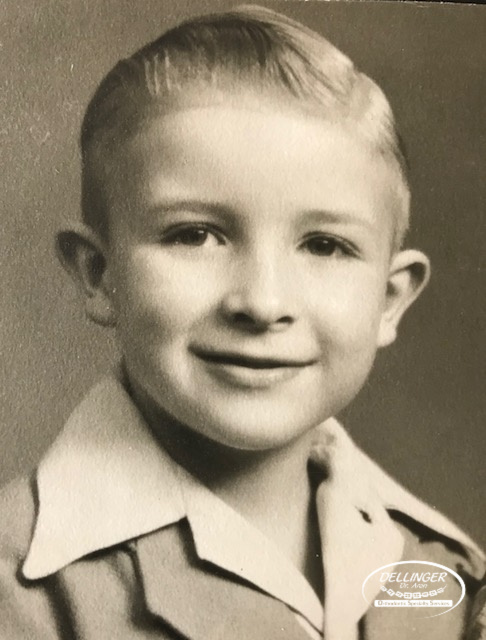 I took those exams in Saint Louis, packed up my stuff, drove back to Fort Wayne and started work with my father, brother, and uncle in private practice at OSS the very next workday. At that time very few orthodontists in the state of Indiana were ABO certified (in Northern Indiana maybe only four). The ABO certification process has proven to be incredibly valuable to me by changing the way I look at case results. The ABO exam is a three-part exam. The first part is a written exam, similar to the SAT, but it only focuses on orthodontic related science. The second part is the board case records exam, which is a face to face oral examination involving clinical case records. Its purpose is to test the candidate's ability to diagnose and identify various orthodontic problems, and his or her knowledge of possible treatment options for correcting those problems. The third part of the exam is the clinical exam. This exam involves presenting cases treated by the candidate with extensive measurement and documentation of the pre and post-treatment results. Most orthodontists who complete the ABO process spend about 10 years in private practice accumulating case records and developing skills prior to taking the clinical exam (part three). I began the ABO certification process as a resident by passing the written portion of the exam. After completing my Master’s Degree, I started to collect case records in preparation for the clinical portion of the ABO exam. I was tracking the progress of specific cases that would qualify for the various categories that the ABO required candidates to present. About a year and a half later some of those cases were coming to completion and I began the arduous task of measuring models, tracing and measuring x-rays and scoring the cases to see how well they finished. 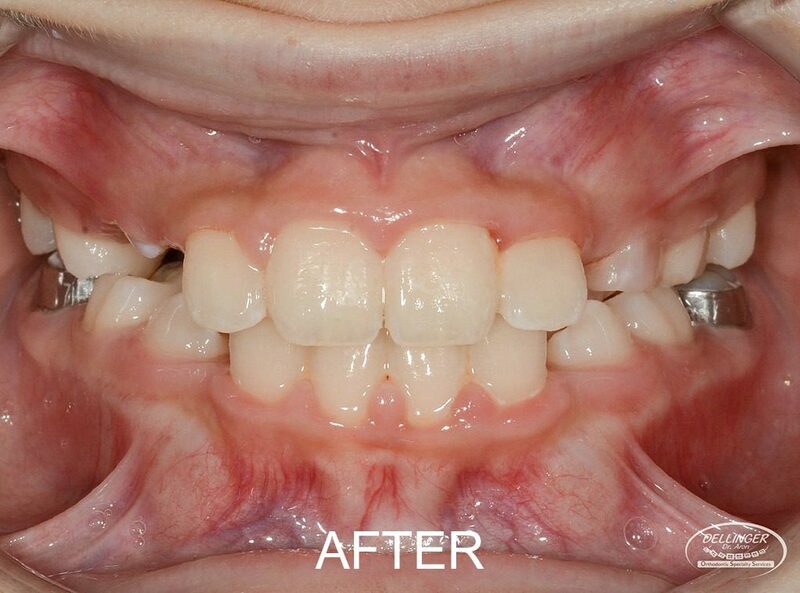 I felt confident that all of the cases I finished were excellent examples of skilled orthodontic treatment, and that they would score very well….I was wrong! The cases displayed wonderful before and after results. They looked great and the teeth fit well in the bite. X-rays and photos indicated that all of the major aspects of health function and aesthetics were super. BUT when I started measuring, looking at smaller discrepancies, adding up all of the minor imperfections, and critically assessing more detailed aspects of the finished result, many of the cases I was most proud of did not “measure up” to the ABO standard of excellence. What I discovered was that only about twenty percent of the cases that I hoped would serve as ABO cases for a specific category were really the type of case that the ABO would find excellent. During the process of measuring every detail of many, many cases I started to identify patterns of imperfection. I found areas in treatment results that consistently were NOT finishing as well as they could. Without spending countless hours literally “measuring imperfection” and critically reviewing my own case results, I never would have discovered there were imperfections that I could eventually PREDICT AND CORRECT BEFORE a case was even treated! 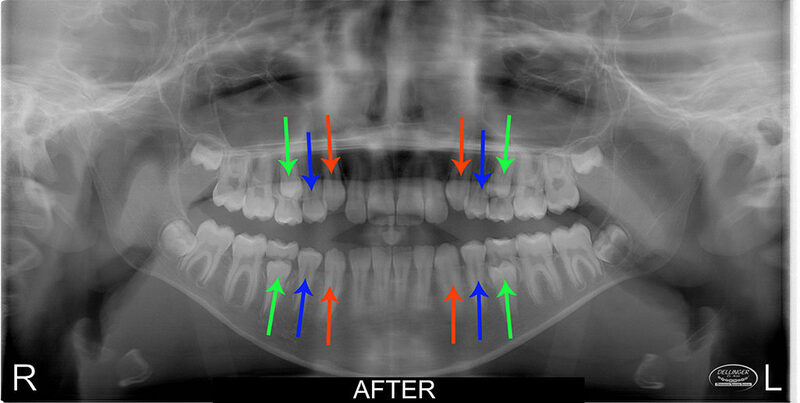 I discovered that in certain patients the braces would produce rotations or tipping of the roots in x-rays. I learned to take progress records during treatment and also learned precisely where to look for discrepancies, identifying them earlier in treatment, improving both treatment time and results. You may be asking what is required to maintain ABO certification? Re-certification of ABO status is a relatively recent development and the requirements for re-certification are constantly changing. 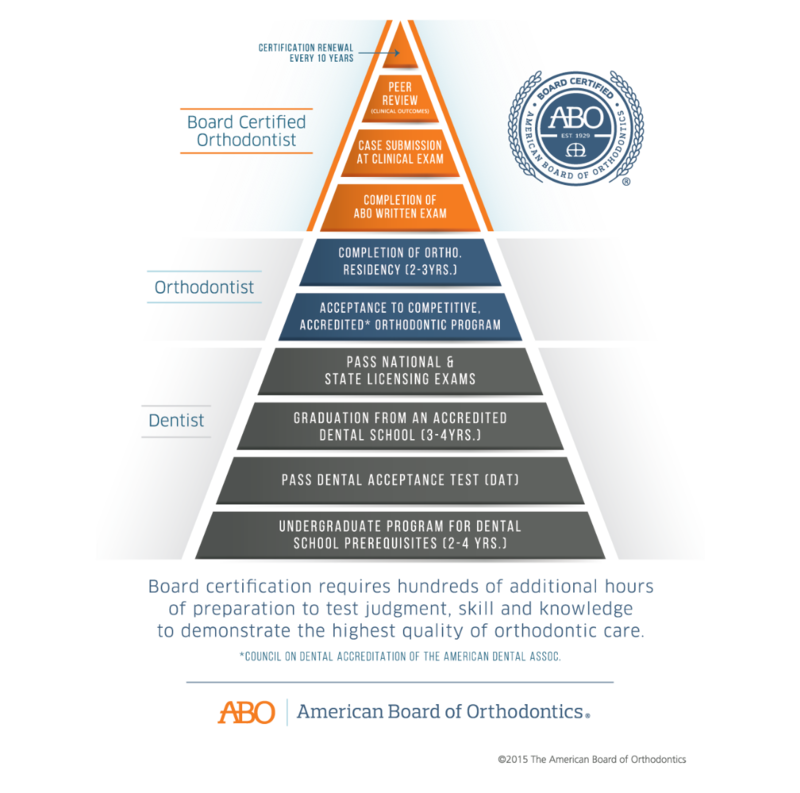 When I took the written exam it was explained to us that we would be the first class of orthodontists taking the ABO exam that would be subject to continual re-certification. In 1996 it was announced that all candidates taking the written exam would be required to re-certify every 10 years. Prior to this re-certification was not required for orthodontists who took the written exam. I completed the board certification process in 2005, and I found the entire process of studying, gathering case records, measuring results, and receiving critical feedback from the examiners to be one of the most valuable learning experiences of my whole career. Breast Cancer Awareness is something that is near and dear to our hearts at OSS. 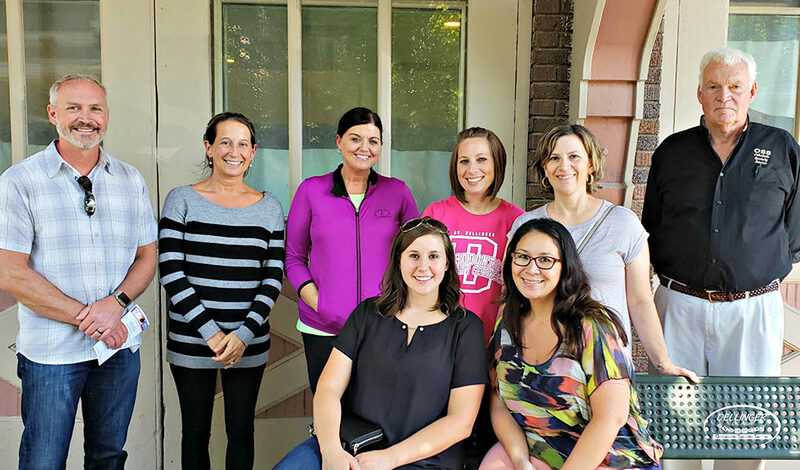 For many years we, with the help of our patients, have been raising money during Breast Cancer Awareness Month and this year is no exception! 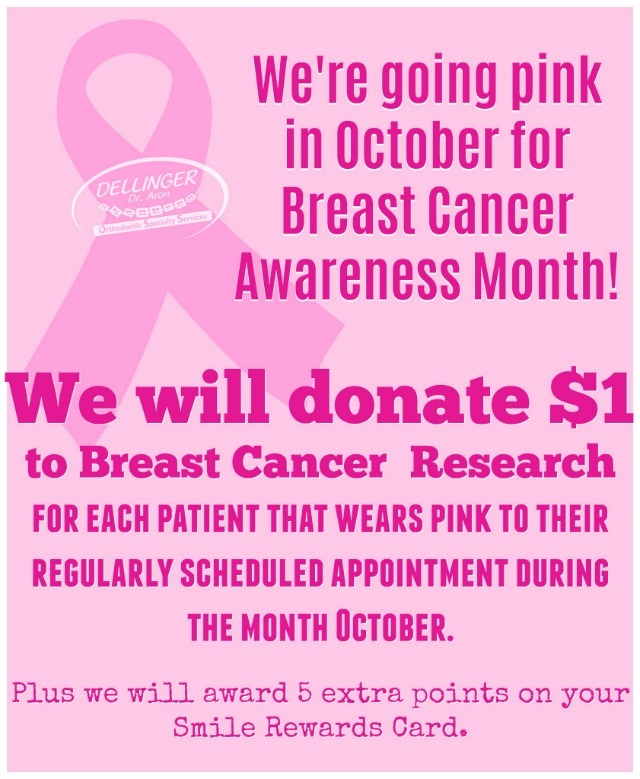 We will donate $1 to Breast Cancer Research for each patient that wears pink to their regularly scheduled appointment during the month of October. As an added bonus, we will award 5 extra points to each patient's Smile Rewards Card! Last year $189 was raised and donated to Breast Cancer Research through a similar fundraiser, and we are hoping to beat that amount this year! Help spread the word by sharing this post! If you follow us on our Facebook Page then you know that we love to celebrate holidays, birthdays, anniversaries, weddings, babies, and the list goes on and on! 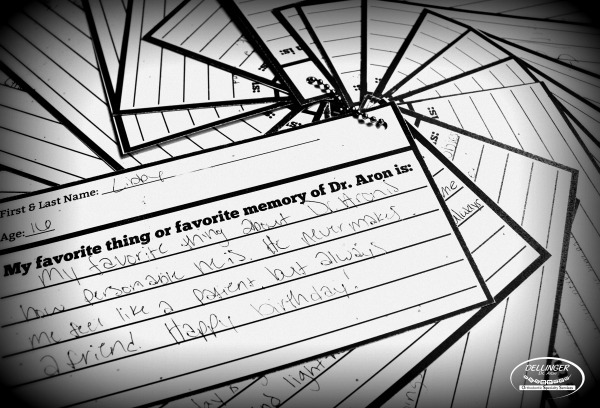 Dr. Aron recently celebrated his birthday and one day in the office last month we asked our patients to write down a birthday sentiment including their favorite thing or favorite memory of Dr. Aron. We had so many great responses and here are a few! "Whenever I have an appointment he always comes in with a smile on his face and asks me how my day is going or about school. He's always so cheerful and lighthearted." "When I got my expanders and I didn't want them, he talked me through it and everything was ok."
"He's a great guy and always takes my concerns seriously and is always caring!" "He is always so kind and friendly to everyone. He always says hi and asks about vacations. Dr. Aron never forgets a name. He is a great orthodontist and I'm glad I have him as one!" "Dr. Aron is always interested in my hobbies and other things going on in my life." "My favorite memory/thing [about] Dr. Aron is how he is super encouraging and nice. Whenever I had questions he would answer them. Thank you for always telling me my smile was beautiful." "My favorite thing about Dr. Aron is how personable he is. He never makes me feel like a patient, but always a friend. Happy Birthday!" We would love to hear your favorite thing or favorite memory of Dr. Aron. Tell us in the comments below or on our Dr. Aron's Birthday Facebook Post! I love to brag on my team! Our team is unique and if you’ve been in our office it is something that you can tangibly feel. Our average tenure is nearly 16 years so the team at OSS is comprised of many long term experienced team members. We have a culture which values and embodies respect, synergy and efficiency. A few years back we spent quite a bit of time defining our team culture, and putting into words what makes our team so effective. We worked with Bruce, a consultant and team coach, who ran us through a great team exercise. The exercise began by each team member individually choosing the 10 most important principles in our culture. After each team member had their own top 10, we then combined all of the lists to see which principles repeated with the most frequency. This list then became the team combined top 10 principles. 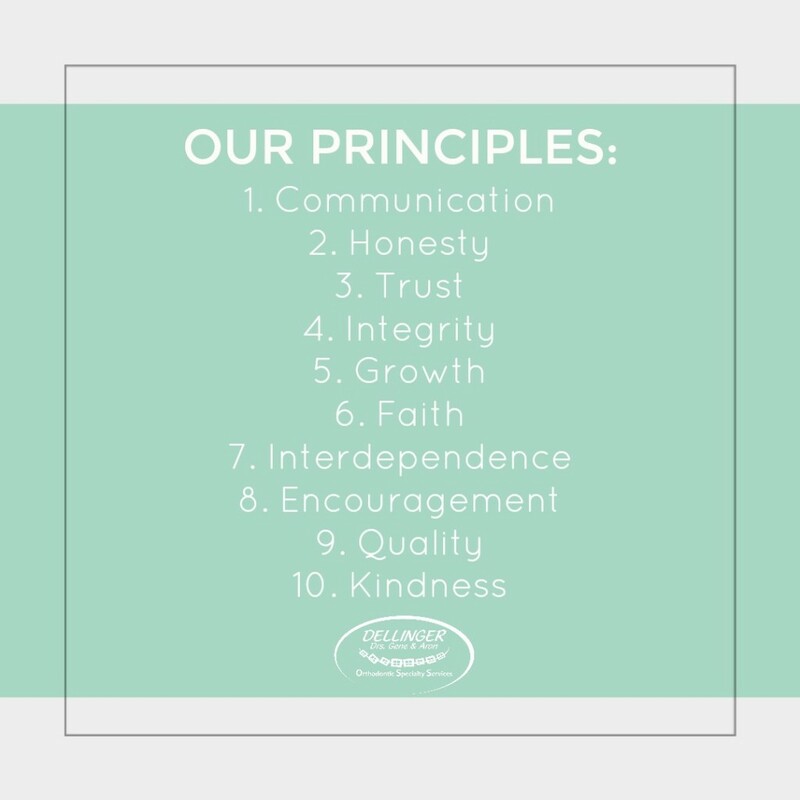 After choosing our principles the team was tasked with finding ways to make sure that our work life embodies those principles. Each team group: clinic, front desk, lab, financial, supply, and marketing came up with their own list of actions and behaviors that are expected to consistently uphold the team principles. The reason the team works hard to implement the principles in daily work is because the principles were not laid down by me or forced upon the team…they were chosen BY the team. 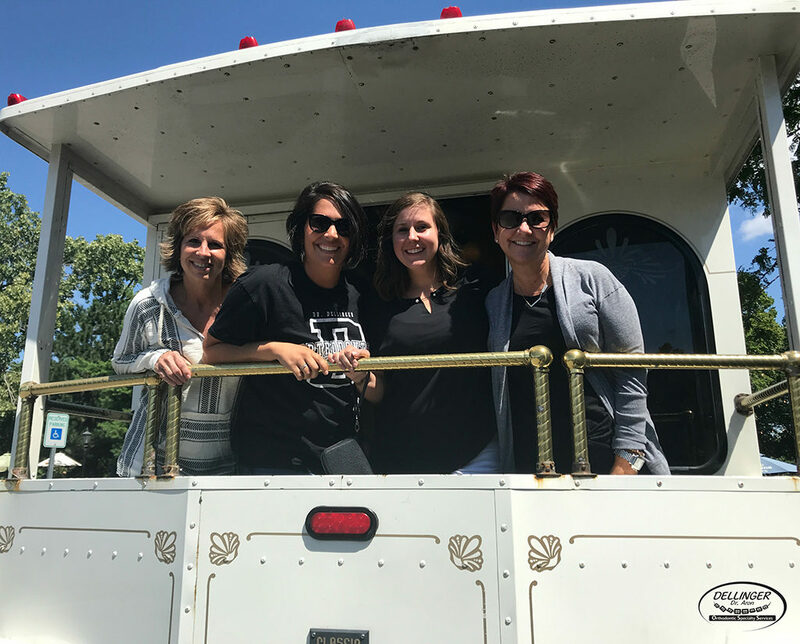 This week was the American Association of Orthodontics "Orthodontic Staff Appreciation Week" and our office celebrated all week long! 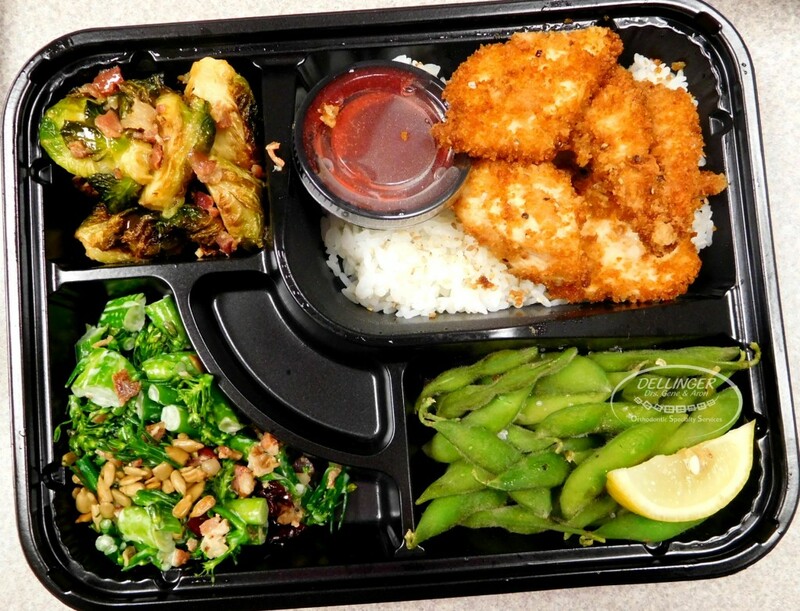 On Monday we kicked off the week by having a great lunch from Cerulean Winona Lake. 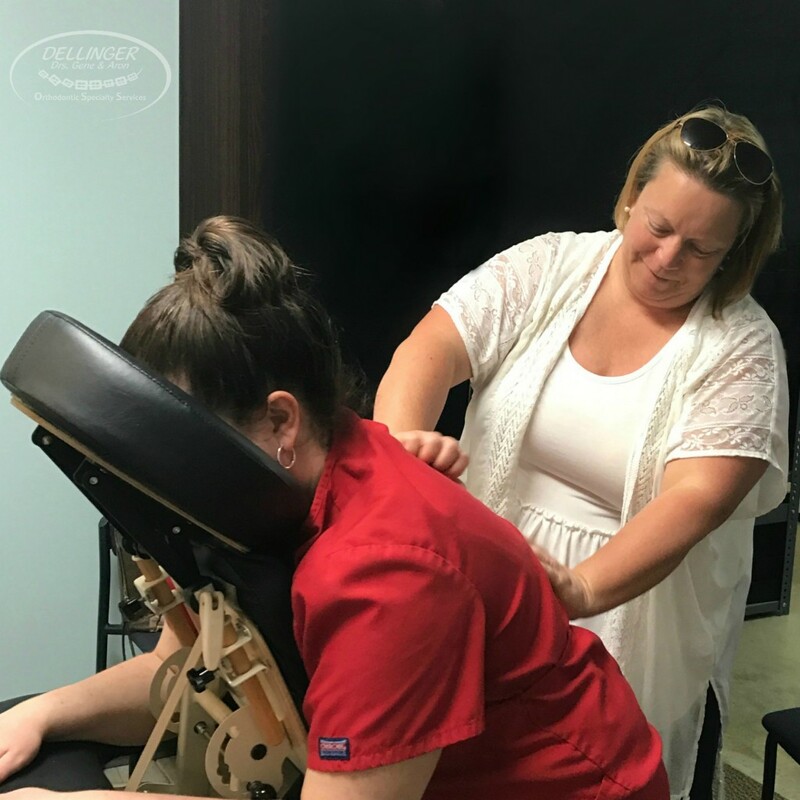 ...and a masseuse came to the office so we could each receive a 15 minute massage! 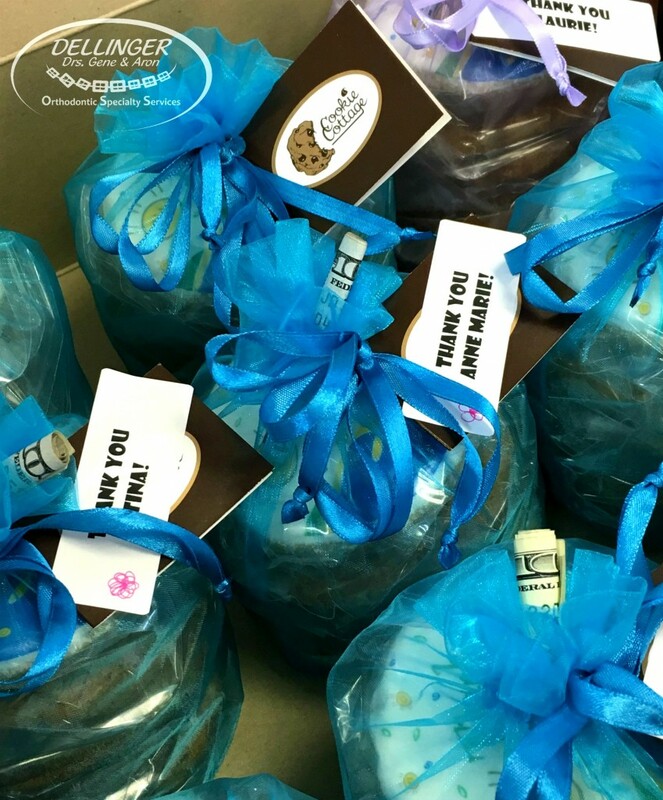 On Wednesday we were surprised with a bundle of cookies from Cookie Cottage. I'm sure the surprises would have continued but Dr. Aron and a few members of our team left Wednesday afternoon for a continuing education seminar in California. 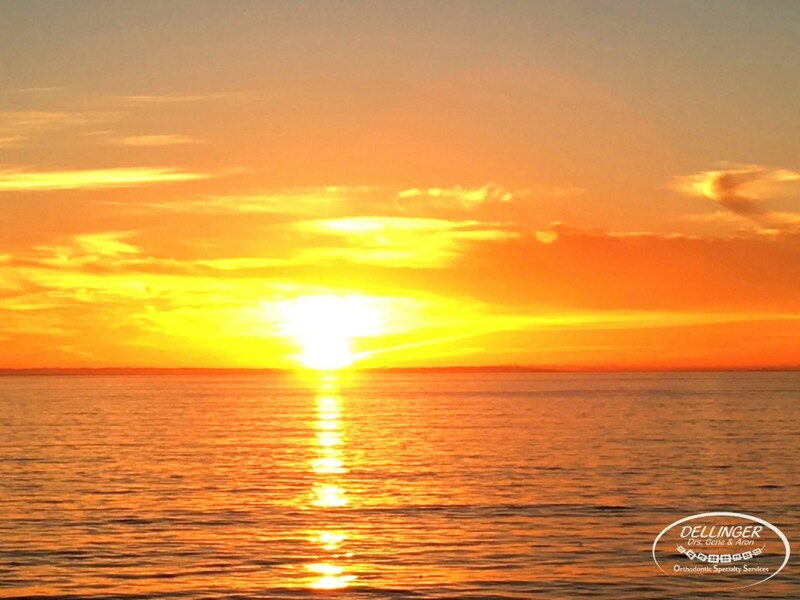 Check out this gorgeous San Diego sunset! With an average tenure of nearly 16 years our team has a unique bond and friendship. We lean on each other, help each other, and truly enjoy spending time together! It was fun to spend a little extra time celebrating this week! 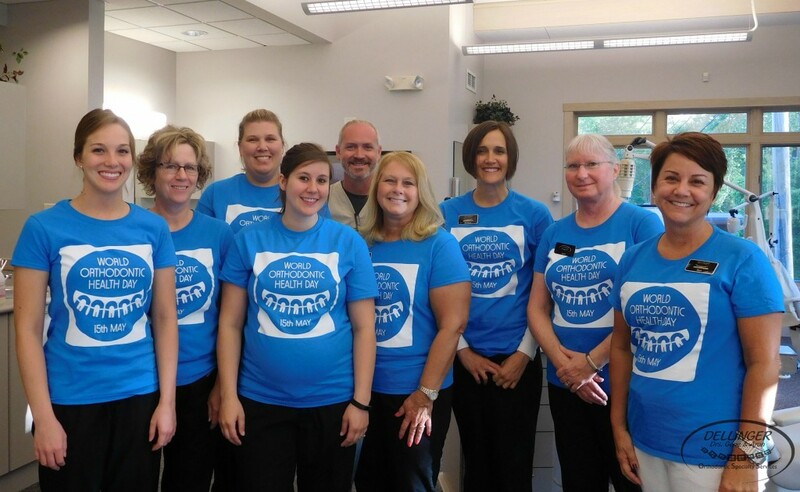 The World Federation of Orthodontics strives to encourage high standards of orthodontics throughout the world and today our office is celebrating the first official WFO World Orthodontic Health Day. "The World Orthodontic Health Day is celebrated by a logo that aims to become an easily recognized icon of orthodontic care across the globe. At the core of the logo is a wide smile, bright white teeth space within healthy pink gums that have braces on them. These braces represent the kinship between orthodontists and a world that unites when people smile - for this purpose the braces are actually human silhouettes holding hands as "buddy braces". This symbol of harmony also represents the coming together of a legendary spirit, thus in Olympic colours, signifying people of every race and colour coming together for orthodontic health. The smile is within a white circle, the shining world and that itself is within a solid square block, a geometric outline that indicates stability and solid reputation. The font of the logo is classy, tall and modern. 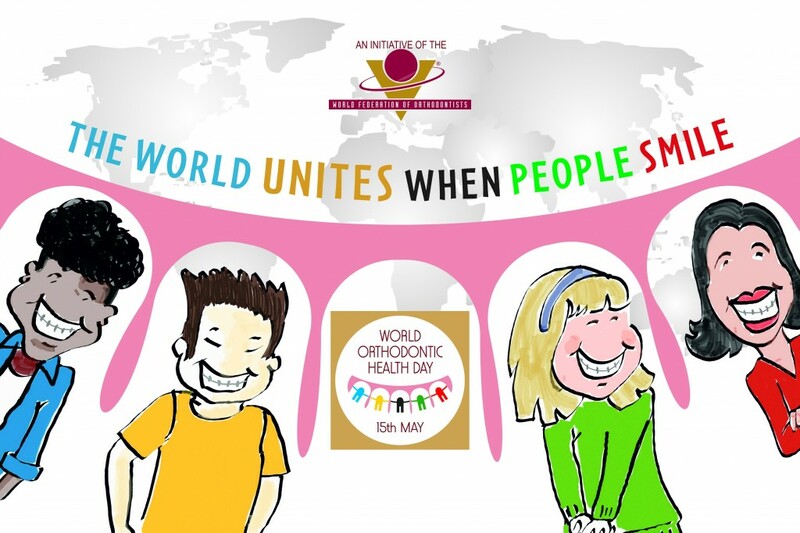 These elements are in the colours of the World Federation of Orthodontists - gold and burgundy." Dr. Aron is a member of the WFO and has been involved in leadership with the American Association of Orthodontics. He looks forward to continued work with the WFO as it strives to improve orthodontic standards of care worldwide. Welcome to the first edition of “Ortho-Doc see”. This blog is intended to be a hodgepodge of thoughts, beliefs, and experiences. I hope through reading these entries you can find greater joy in your life. The tag line we use in our office is “Inspiring Genuine Smiles”. The deep impact of inspiring genuine smiles is…when it happens, your life is better. Better how, you may ask? The energy and joy you bring when you know your life is amazing projects to others that something good is happening. When good things happen, people smile. In a nutshell, make yourself a good thing happening, and you will inspire genuine smiles. Smiling people have better lives. Notably, the smile comes before the better life… not because the life is better already. I recently read a book by EP Seligman PhD titled “Authentic Happiness”. In that book Dr. Seligman gives a great example of his son not wanting to go to bed, and how he put on a frown face and grumped around. Dr. Seligman explained that his son was immediately sent to bed, as it was obvious from his grumpy and sad demeanor that he needed to go to sleep. Dr. Seligman suggested to his son that if he should like to stay up later he should smile, and with good cheer ask “May I please stay up a little longer daddy?”. In a short his son figured out that all manner of behavior could be tolerated by his parents… if he did it with a smile. The reality is people who smile often live longer, have better relationships, and really are happier than people who are sullen. It is good to be serious, and to work hard, but serious hard work doesn’t have to be done with cold harshness, it’s way better if you do it with a genuine smile. Thank you for taking the time to visit our blog. Please check back often for updates on fun and exciting events happening at our office, important and interesting information about our orthodontics, the dental industry, and the latest news about our practice. Feel free to leave a comment or question for our doctors and team - we hope this will be a valuable resource for our patients, their families, and friends! East Dupont Rd., Fort Wayne Office 1120 E. Dupont Rd. Warsaw Office 841 S. Union St.